"The music - it's not just in me, it IS me." 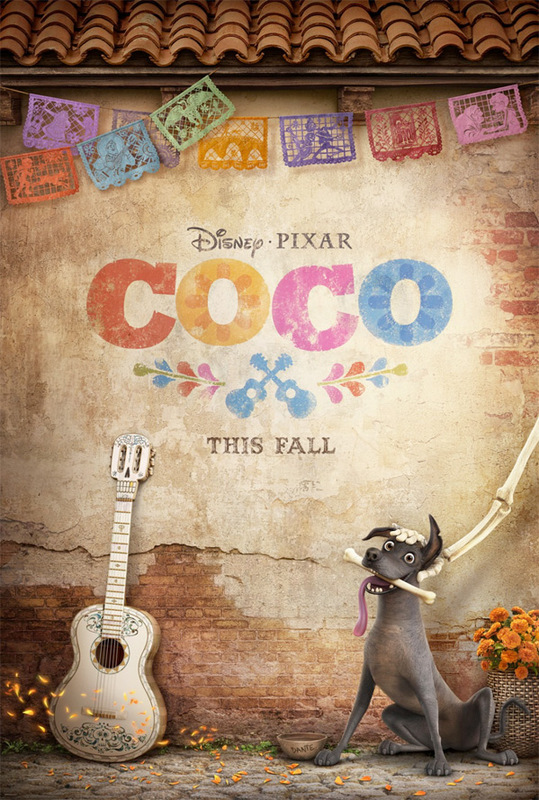 Disney has debuted the first official teaser trailer for Pixar's new movie, a musical titled Coco, based around the Mexican celebration of the Day of the Dead. We don't know much about the plot, but as you can see, it involves a young boy getting lost in the world of the dead while searching for his father. The voice cast includes newcomer Anthony Gonzalez playing Miguel, along with Benjamin Bratt, Gael Garcia Bernal, Renee Victor. As our initial introduction to this original movie from Pixar, this is quite wonderful. I love that we're getting a new Pixar movie that has a dog as a sidekick. Beyond that, it looks like it has the emotion of Monsters Inc in a Mexican musical, and I'm excited already.